Our latest Distributed Proofreaders project is another book from the author of the recently released The Art of Kissing. 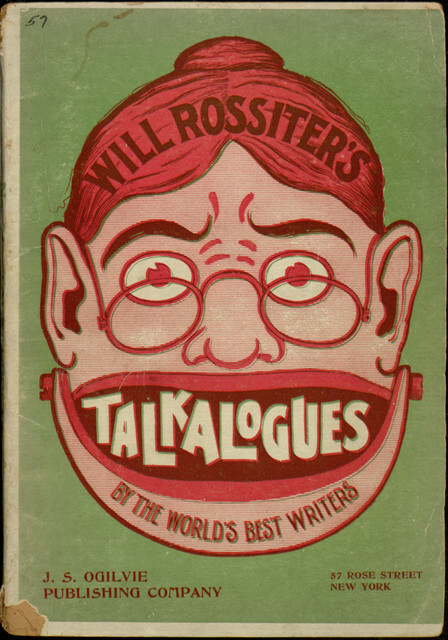 Unlike that previous volume, this new title, Will Rossiter’s Talkalogues by American Jokers, does not limit itself to a single theme but instead presents a random assortment of jokes and cartoons. 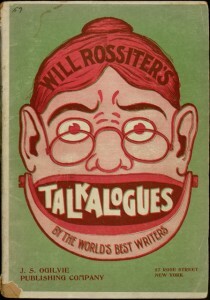 The book will probably not appear very funny to a contemporary audience, but it does provide a window into the humor of over a century ago. To help create a new edition of this long-forgotten book, first read this earlier post to learn about the proofreading process, then join in at the project page.